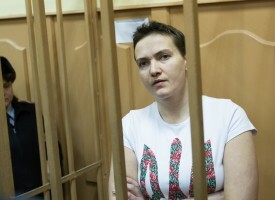 EN | IT | PL – Ukrainian navigator Nadiya Savchenko was sentenced in Russian Donetsk to 22 years in jail. This is the newest Putin-show, in which the dictator flexes his muscles, mocks the West and the Russian public applauds. EN | IT | PL – On Friday night in the heart of Moscow an unknown killer gunned down Boris Nemtsov, former deputy prime minister of Russia and a fervent critic of president Putin. 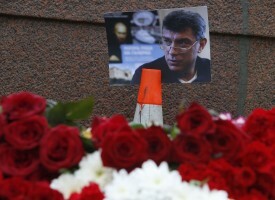 On Sunday Mr. Nemtsov was to lead a protest against the Russian involvement in the Ukrainian civil war. It is a very strange and suspicious death. The tragedy must have happened before the eyes of all-seeing Russian secret service, because the agents routinely follow Putin’s critics and political opponents. Nemtsov was killed in the most guarded place in Russia – very close to the Cremlin. But the gunner managed to escape. The police arrived 11 minutes later. Within minutes Putin’s propaganda machine came up with several mind-boggling theories. EN | IT | PL – The cease-fire in Ukraine is notoriously broken by the separatists and Russia, but everybody turns the blind eye. Mr Putin can easily afford it, because he has many friends in the European Union. Since the Minsk-brokered cease-fire entered into force on Feb.15th, the separatists and their Russian allies have conquered Debaltseve. The siege ended with a bloodbath. The Russian- Ukrainian border, where the OCSE observers haven’t yet been permitted to go, was crossed by at least one hundred Russian tanks and rocket launchers. 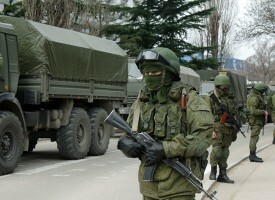 EN | IT | PL – The basic obstacle on the road to peace in Ukraine is Russian mentality. The outstanding Georgian philosopher Merab Mamardashvili (1930-1990), often referred to as “the Georgian Socrates”, observed: “The Russian norm is an extremely barbaric state of mind”. 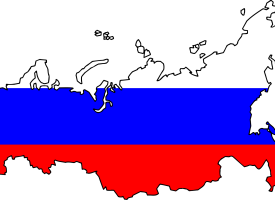 Intellectuals in the Eastern Europe enslaved by the Soviet empire after the World War II coined out a similar, very popular saying: “Russia is not a country. It’s a state of mind”. Nowadays the most important research institutes try to examine, analyze and explain this curious phenomenon. Without this precious knowledge it is impossible to understand what is going on in Ukraine. 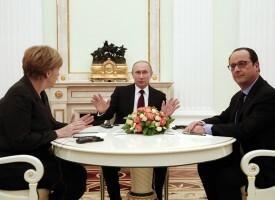 EN | IT | PL – The Friday’s desperate escapade of Angela Merkel and Francois Hollande to Moscow in an attempt to negotiate a solid peace agreement and put the Ukrainian war on the halt was bound to fail. Both politicians admitted they had undertaken the effort to keep a clear conscience and not to regret afterwards that they had not tried. Five hours long talks with Putin ended with a spectacular failure. EN | PL | IT – Everything which so far has happened in Ukraine – annexation of Crimea, shooting down the Malaysian airliner, Russian military intervention – is to a large extend the effect of the West’s disastrous policy of concessions, if not consent. This policy of the white flag was supposed to stop Mr Putin, but was received as the encouragement. What is worse, the strategy is still on. EN | PL | IT – It took the downing of Malaysia Airlines jet to mobilize public opinion in the rich European countries against Vladimir Putin and Russian sponsored thuggery in eastern Ukraine. As if over thousand victims of the Ukrainian civil war were not enough. The Europeans, so far skilfully manipulated by their politicians and media who downplayed the conflict, suddenly realised that the Ukrainian tragedy is closer to their doorsteps than they had thought. The Russian produced and maybe also launched earth-to-air missile brutally terminated the European dream of peaceful Russia and her trustworthy, reasonable president. Ukraine: where have all the nazis gone? Ukraina: co się stało z nazistami? 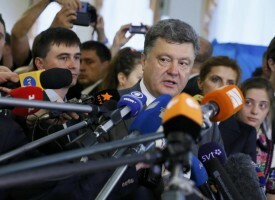 EN | PL | IT – Petro Poroshenko overwhelmingly won Ukrainian presidential elections. 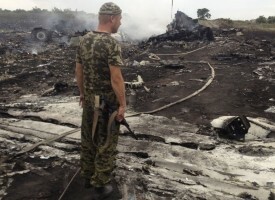 Russian propaganda and Ukrainian separatists suffered a heavy defeat. According to Russian propaganda machine there were the bloodthirsty Ukrainian neo-Nazis who toppled president Yanukovych and then seized power in Kiev. Not without a substantial help of the CIA and the Polish secret service. The alleged imminent invasion of Nazis from western Ukraine served the Moscow-sponsored separatists as an excuse to start a civil war in Donetsk and Luhansk regions. Moreover, the whole population of western Ukraine was portrayed as a bunch of Nazi-supporters. 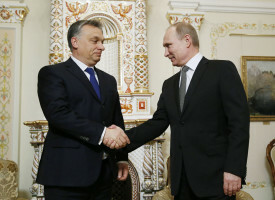 DE | EN | IT – With the annexation of Crimea and its risky separatism poker in Eastern Ukraine, Russian President Vladimir Putin has brought back a question into the political game, which seemed almost forgotten: the “national interest” of states. This question was an integral part of the logic of the 19th and 20th century, the guiding star of the foreign policy of most European powers. EN | PL | IT – The worse has dutifully arrived. 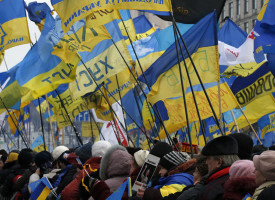 Secession of Eastern and Southern Ukraine and it’s submission to Kremlin is a matter of months if not weeks. 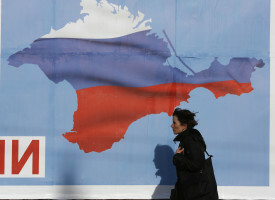 Only seven weeks ago Russia annexed Crimea and president Putin assured the West he would not go any further. As of today due to copycat actions well-armed Russian speaking and sponsored separatists, among them Russian soldiers, control 14 Eastern Ukrainian cities. The military counter-action of Ukrainian troops aiming to regain control together with clashes in Odessa last Friday brought about nearly 50 dead. Bloody civil war has started.